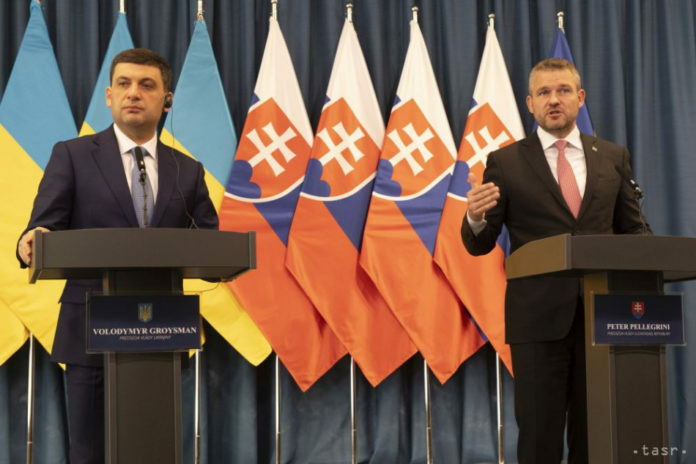 Bratislava, April 16 (TASR) – Slovakia and its companies could be part of a consortium that will reconstruct the gas pipeline going through Ukraine, Slovak Prime Minister Peter Pellegrini (Smer-SD) said after a meeting with his Ukrainian counterpart Volodymyr Groysman, TASR learnt on the same day. Slovakia thus wants to ensure that the lower quality of the Ukrainian infrastructure can’t be used as an argument for it to be left out and replaced, for example, by the Nord Stream 2 project, which is rejected by both prime ministers. „Together with Ukraine, Slovakia wants to continue to participate in the gas transit from east to west, and I’m very pleased that Prime Minister Groysman has confirmed that Ukraine wants to create a consortium in which it wants to reconstruct the gas infrastructure,“ said the Slovak prime minister, declaring that it’s important for him that Ukraine develops and that the standard of living of its citizens improves. According to him, this also contributes to the development of eastern Slovakia. The Ukrainian premier has described the negotiation as „productive and very concrete“. He is convinced that there are great opportunities ahead for Slovakia and Ukraine. „We can deepen our co-operation, including increasing the volume of bilateral trade,“ he said, adding that it is currently growing and has a volume of $1.4 billion at present, but its potential is higher. He also thanked Slovakia for its „firm position“ in relation to Ukraine’s territorial integrity. Pellegrini also reiterated that Slovakia doesn’t recognise the annexation of the Crimean peninsula and as a country presiding over the OSCE it will be seeking to contribute to improve the situation in this area. The two prime ministers also expressed their regret over the fire at Notre Dame Cathedral in Paris, declaring that their countries are willing to help if France needs it, but they don’t want to make „cheap gestures“ and send money in advance.